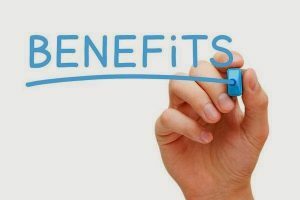 The start of the new year ushered in a host of important employee benefit changes; please read this article carefully to ensure that you are up-to-speed on what’s new or different as well as for reminders that apply to the start of all new benefit plan years. Effective January 1, 2017 our medical, prescription (including home delivery) and dental plans are being administered by CIGNA, rather than CBABlue. Standard CIGNA medical ID cards, which have the subscriber’s (employee’s) name on all cards – including dependents’ cards – were mailed to participants’ home addresses in mid-December. Individualized medical ID cards – which are personalized with dependents’ names – were generated and mailed on December 31st and should be arriving at home addresses within the first two weeks of January. Once individualized cards arrive the original (employee name only) cards can be destroyed or retained as back-ups. Individualized dental ID cards were mailed to participants’ home addresses in mid-December. Please remember that any medical or dental claims incurred through December 31, 2016 must be filed for payment through CBABlue; any claims incurred on or after January 1, 2017 must be filed through CIGNA. As was announced in October, employee contributions toward medical and dental premiums were increased for 2017; new premiums will be reflected in the first paychecks issued in 2017. Additionally, employees who made coverage level changes (i.e. from family to single) should see the premium deduction applicable to the new coverage level applied in the first paycheck. With the transition to CIGNA as our plan administrator most major medical plan design features remain stable, meaning that there were no increases in employee cost-sharing through changes in deductibles, co-insurance, the medical out-of-pocket maximum, prescription co-pays etc. However, as noted in the November 1st open enrollment announcement, several provisions were modernized or enhanced, including: the addition of Telehealth coverage (see attached brochure), coverage for gender reassignment, modernized criteria for bariatric surgery, cash incentives for participation in the healthy pregnancy program, elimination of the limit on medically necessary wigs, ER visits are now subject to the regular deductible and the redundant routine eye exam benefit has been eliminated. Plan participants who have used Magellan for home delivery pharmacy services will need to switch to CIGNA’s home delivery service if they wish to continue taking advantage of the convenience and cost-savings associated with home delivery. Switching to CIGNA is quick and easy – just follow the instructions on the Quick Switch flyer attached to this article. Members who had been working with a CBABlue case manager should have already been contacted by CIGNA to transition care; if you believe you should have been contacted and have not been, please contact HR. CIGNA’s website and mobile app are easy to use and provide convenient access to a wealth of information and services including: recent claims history, the ability to print temporary ID cards and to access virtual ID cards, provider network search, the ability to see real-time progress towards deductibles and out-of-pocket maximums, drug cost comparison tools, virtual explanations-of-benefits (EoBs), etc. To take advantage of these on-line services please follow the instructions on the attached MyCigna.Com flyer. The major dental plan design features remain stable, meaning that there has been no increase in employee cost-sharing through changes in deductibles, co-insurance, etc. However, the plan has been enhanced with the addition of dental wellness benefits for individuals with certain health conditions (see attached brochure) and the reduction in waiting period for orthodontic care from 24 to 12 months for late plan entrants. The Middlebury Health and Welfare Summary Plan Description is currently being revised to reflect CIGNA as our third-party administrator. In the meantime, a good deal of additional information about CIGNA is available on the HR website. 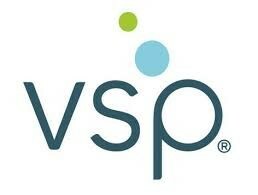 Our vision plan is remaining with Vision Service Plan (VSP). The premium for the vision plan did not increase for 2017, however participants who changed coverage levels during open enrollment (i.e. switched from single to family coverage) will see the resultant premium change in the first paycheck in 2017. The plan design will remain the same. Remember, ID cards are not required (simply tell your VSP provider the last 4 digits of your SSN and date of birth). A summary of the plan and other helpful information is available on-line at http://www.middlebury.edu/offices/business/hr/staffandfaculty/benefits/vision. Effective January 1, 2017 our health care and dependent care FSAs will be administered by Business Plans, Inc. (BPI), through their “MyCafeteriaPlan” FSA service. Please remember that any medical or dependent care FSA claims incurred through December 31, 2016 must be filed for reimbursement through CBABlue; any claims incurred on or after January 1, 2017 must be filed through MyCafeteriaPlan. The MyCafeteriaPlan website and mobile app are excellent sources of real-time information and are easy to use; instructions for accessing your account can be found on the new user login information flyer attached. You will have several options for FSA claims filing, including uploading claims to the website or app, or faxing or mailing a paper claim form (see claim form attached). If you would prefer to have reimbursements direct deposited, you will need to either complete and submit a paper election form (see form attached) or enroll on-line through your MyCafeteriaPlan account on the web or mobile app. Remember, you have until March 15, 2017 to file claims for services incurred during 2016; those claims must be filed with CBABlue. After the 2016 runout period ends on March 15th any funds, up to a $500 maximum, that are remaining in participant’s health FSA accounts at CBABlue will be automatically transferred to a MyCafeterialPlan roll-over account and will then be available for reimbursement of 2017 expenses. This rollover process is expected to be complete by the end of April. No plan changes were made to our Voluntary Life and AD&D insurance 2017. Premiums changes related to coverage amount or age-band changes (5 year increments) should be reflected in the first paycheck in 2017; if you made changes or you hit a new age band in 2016, please confirm that your premium changed. Requests for new life coverage and/or for increases in life coverage over the guarantee issue amount are not effective until approved by UNUM. An Evidence of Insurability (EoI) form must be submitted by you to UNUM if you have requested this type of change. Notification of required EoI along with a link to the on-line EoI form will be distributed to affected employees during January; UNUM will notify employees of directly of approval or denial of coverage. Any premium changes will be made as of the effective date of the approved coverage. No plan changes were made to our retirement plan design. If you submitted forms prior to the holiday break requesting changes to your Voluntary Retirement Plan contribution amount, or to enroll in the 457b Salary Deferral Supplemental Retirement Plan, your new elections should have been reflected in your first paycheck of 2017. If you requested such changes, please confirm that your elections are as you expected. Trouble-free employee benefit plan administration requires a strong partnership between employees and Human Resources. Please carefully review your first paycheck and let us know if you have questions or if anything seems amiss, and please take the time to familiarize yourself with CIGNA and BPI’s (MyCafeteriaPlan) services and benefits.